Sometimes the limbic brain can become stuck in a negative cycle conditioned by trauma or stress. When this happens, mysterious conditions like chronic illness and gut imbalances can take hold in the body. Symptoms can include, but are not limited to, bloating, headaches, and an inability to relax, but also more severe symptoms like chronic fatigue, IBS, inflammation, or chronic pain. To break the cycle and restore homeostasis, extended meditation is highly recommended. As well, an anti-inflammatory diet, restorative sleep, and exercise can help. Guided protocols and tools are available for more severe circumstances. Dr. Michael Ruscio, DC: Hi, everyone. Welcome to Dr. Ruscio Radio. This is Dr. Ruscio and today I’m here with Ashok Gupta. We’re going to be talking about the gut-brain connection, which is a conversation that I’ve been wanting to have for a while. Very excited to have you here, Ashok, and welcome to the show. Ashok Gupta: Yes, thank you for having me on. Really appreciate it. Who needs to put in the additional time and effort into brain-based therapies? Stress often manifests as gut discomfort or headaches/migraines etc. A unique 7-step process by which the brain is trained over and over again to reprogram unconscious thoughts and reactions to pain, discomfort, illness, etc. Get help using this information to become healthier. DrMR: Tell people a little bit about the work that you’re doing. When we say gut-brain, that’s very broad. So tell people what you’re doing and a little bit about your background also. AG: Yeah, I’d love to. So I suffered from ME chronic fatigue syndrome many years ago when I was at university. And that started my lifelong quest to try and understand these types of functional illnesses, which traditional medicine finds very difficult to treat. At that time, I also had irritable bowel, chronic fatigue, a whole host of generalized symptoms. So I spent the next few years researching the brain neurology of emotion, the brain neurology of illness, the brain neurology of conditioning events in the brain, and managed to get myself 100% better from any chronic fatigue syndrome. After that, I set up a clinic to treat patients with a range of different functional conditions and published several medical papers in the area as well. It’s been a real journey, for myself in terms of my healing, but also looking to help others with their condition as well. And from then on, when I set up the clinic, we were treating people for many years. And I decided that I was ready to publish it as a home study course, or a training course that people can do on their own, and training other practitioners to deliver this type of brain retraining. The main core of what I do, by helping people with these conditions, is brain retraining from a holistic perspective. So it’s not just brain retraining, but also diet, activity, sleep, and all kinds of things that can support their recovery. DrMR: Gotcha. So it’s a holistic program you’re using that incorporates diet. I’m assuming maybe some dietary supplements and then also these brain-enhancing or (for lack of a better term) balancing therapies? AG: Exactly, exactly. And actually, we found that this particular treatment covers a range of different conditions. So whilst we have these boxes that these conditions fit in—the people that you treat, the people I treat—we find there are so many crossovers. Do we have someone who has IBS with chronic fatigue? Or is it that they have chronic fatigue with IBS? Which comes first, the chicken or the egg? Actually, these are broad-range or a spectrum of conditions that I refer to as NICS, Neuro-Immune Conditioned Syndromes. “Neuro” because they’re in the brain and the nervous system, “immune” because they involve overstimulation of the nervous system and the immune system. They’re “conditioned” because they’re trained into the system. And they’re a “syndrome” because of the whole mix of different symptoms that result and there are so many crossovers between them all. DrMR: One of the things that I’ve been trying to get a straight answer on is, for someone that has limited resources, how do we know who needs to put in the additional time or effort into brain-based therapies? This compared to someone where we want to focus on their diet, lifestyle and specific interventions to improve their gut health (like small intestinal bacterial overgrowth or finding the right diet for them). They may need a nuanced sort of elimination diet. This is something I think plagues many people. And just for the audience, some of the backdrop, I think, is there’s been a lot of convoluted information that’s flooded the space. I think it makes claims about the importance of the brain that are overstated and not supported. But I do think there is something there. This is why I’m trying to get a better gauge for people. In an ideal world, we would do everything. We’d do every therapy that could possibly help. But if we have to make a priority decision, how do we decide if the brain is more causal or more associated, secondary to what’s happening in the gut? AG: Well, that’s such a big question, isn’t it? DrMR: That’s an easy question, right? AG: Yeah, let’s start off with the easy stuff. Haha! For me, this gut-brain access, as it were, is absolutely fundamental to the kinds of instabilities in people’s health that we’re seeing. The way that I look at this is that I do believe these conditions mainly, but not exclusively, start off in the limbic system part of the brain. The limbic system part of the brain is obviously where a lot of our emotions and threat-processing occur. If I can give a bit of background to the way that I see these conditions and then I can go on to answering your specific question … Imagine that the body and the brain are at homeostasis, at balance. Now, what takes a body off its balance that then causes, let’s say, inflammatory bowel disease or IBS or leaky gut or whatever? 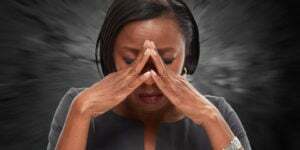 In people that I see at my clinic—and obviously, we have a bias in terms of the kinds of people who come and see us—we tend to see that there is some event, chronic stress, or acute stress that occurs in their lives in the runup to them becoming ill.
That might be chronic overworking. That might be a relationship breakup, a bereavement. In most cases, it tends to be overwork, draining the system, some kind of emotional response. Then an imbalance occurs in the body. So I do believe the starting point for most people, but not all, tends to be some emotional imbalance which then directly impacts on the gut. That’s why we call it having butterflies in the stomach or feeling it in our gut, as it were. There is a direct impact from the big brain to the small brain where there’s tightening of the gut. We know that as a direct cause of over-stress and anxiety, the microbiome is directly affected. There’s more bad bacteria than good bacteria as a result of that overstimulation, whether chronic or acute. And there could be other mechanisms. Stress depletes nutrient absorption. We know that there’s more inflammation in the gut and the body itself. So there’s a direct mechanism from that emotional event to the impact that it has on the gut. Then we obviously have the feedback loop, which means that when we shift that microbiome, that can directly impact on our mood, our emotional state and our stress levels, which then become a vicious cycle. Now, of course, it could well be that the starting point is actually the gut itself. I do believe in the holistic approach, so I’m all about starting with the mind, meditation, and all the brain retraining we do, and at the same time supporting that with a healthy diet. Generally, what we find is that people are diagnosed with all kinds of complaints: so leaky gut, IBS, even hypothyroidism, Lyme disease, and various viral and bacterial infections. When they go into our program, it’s designed to stimulate the natural optimal healing faculties of the mind and body, and to boost the effectiveness of the immune system, rather than it being overstimulated unnecessarily. Which means once they’ve been on our program, these secondary markers that have been associated with their condition tend to reduce or disappear as a result of the brain retraining and the meditation. And in a study that we’re looking to do in the future, we actually want to look at potentially cytokine markers, or pro-inflammatory markers, in the body and the brain to justify that kind of conclusion. DrMR: Gotcha. When you say you look for this emotional stress, is there a certain threshold? Because that could mean, “I don’t like my job that much.” That can be considered emotional stress. Or it could be, “My mother died.” “My boss was verbally abusive,” all at the same time. That would, of course, be quite a higher order of stress. Is there a certain threshold or is there any way you delineate? Are you looking for overt abuse or is even a mild amount of emotional stress sometimes able to cause this skewing? AG: Right. Once again, a big question. I believe—or certainly some of the research that I’ve read seems to show—that the factory setting of our brains in terms of its emotional reactivity is often set in the womb and after birth. So the stress levels of the mother can impact on the stress levels or the emotional reactivity of the child. Then, as they grow up, there’s obviously the effect of upbringing. There’s the effect of the genes that have been inherited, which then can determine how reactive someone is to stress and to chronic or acute events in their lives. Then something comes along, and it all depends on their individual reaction to that particular event and how much stress is expressed and released from the system and how much is repressed. The way to look at each person is, let’s imagine a bucket. That bucket represents how much stress they can handle, and into that bucket goes emotional stress. So that could be a relationship challenge, a bereavement. Then into that bucket goes mental stress, so, how hard they’re working at their job. Then into that bucket goes environmental stress. Are they in a very polluted environment? Into that bucket goes their diet. Are they eating a particularly awful diet? I remember at university, I used to be hooked on microwave meals. Now, I look back on that and wonder, what on earth was I thinking of? Then there were other stresses, a bacterial infection, a virus. All of those things go into that bucket and once it fills with so much stress that it starts pouring over the top, then I believe something shifts in the brain. The brain shifts from a normal homeostasis to what I call an over-defensive or a conditioned defense response, where the body and the brain gets stuck in this state of hyper-defense mode (which means over-triggering of the nervous system and over-triggering of the immune system). The body goes into survival mode. And the body cares more about your survival and your health than it does about your well-being. So there’s the difference between health and well-being. When that then occurs is individual to each person, because each person’s bucket is different, and each person’s hole at the bottom of the bucket is different. Some people have fantastic ways of reducing stress. They’re working out at the gym. They’re meditating. Other people have no way of releasing that stress from the system, therefore, it builds and builds and builds to the point at which the water pours over the top. The brain and the body goes into survival mode, and then we get chronic ongoing inflammation in the gut, inflammation in the body, in general, and even in this case of ME/CFS, inflammation of the brain that we see as well. DrMR: Something we’ve heard a few guests in the podcast remark is, if there’s a history of early life trauma, either physical or emotional, that may skew their resting nervous system tone, so to speak. Or they may be more amenable to the deleterious effects of stress. So if someone had an abusive relationship with one of their parents when they were younger, they may always be easily stressed from an event that may be somewhat innocuous to someone else. Are you finding that same sort of relationship? AG: We do find a relationship there, yes, absolutely. So, the amygdala is obviously the part of the brain that is involved in threat response and emotional responses, fear and anger especially. We know that in people who have experienced abuse, bullying, physical or mental abuse, sexual abuse, their amygdalas—the reactive part of their unconscious brain—is lit up on those scans. They’re far more reactive to negative images, negative situations, because their system has become primed to deal with threat. If you experience a childhood full of threat, your system is ready to respond to anything that even remotely mimics the stress that you experienced earlier. Just like a war veteran who’s been traumatized by being at war, they can be more prone to reactivity. We do see certainly that connection. But I do say to people that your genes are not your destiny and your upbringing is not your destiny. There have been other studies that have shown that actually it’s not necessarily the events or situations that happened in our lives, but actually two core factors which determine our level of depression and anxiety. This is a study done by University of Liverpool with the BBC on 33,000 people. They found that actually it wasn’t whether you’ve been abused or not. It was whether firstly, your mind focused and was hypervigilant on those particular situations, whether there was rumination and overthinking about those situations. And secondly, whether there was self-blame. Those two factors were far bigger factors than what those incidences actually were in your life, when people filled out these surveys. Rumination of the brain—the inability of the brain to remove itself from thinking about negative situations—and self-blame are far more important than our genetic and upbringing inheritance. DrMR: Yeah. It’s something I’ve definitely noticed, when people have had negative experiences, and they don’t dwell on them and just move forward and look ahead, rather than always bringing those things up from the past. Certainly, there’s something to be said, I think, for reflecting on negative past experiences, trying to work through them, learning what you can from them. But at some point, I would agree that it seems very healthy to move forward and no longer look at that as something in the past that you currently need to be working on, dealing with, or thinking about. It does seem to have that ability to hold you back like an anchor. AG: Yes, it does. At the same time—among our listeners, there will be people who’ve been through trauma—as much as they want to remove themselves from that or not think about it, it has become deeply ingrained. That’s where working with a practitioner, with a coach, with a psychotherapist to release some of those past traumas is also incredibly important. Because it will be happening unconsciously and keeping the body and the gut in that proinflammatory defense response. The interesting thing is, we see so much correlation between anxiety and depression and obviously gut health or gut illnesses. They say neurons that fire together wire together. If we have a lot of anxiety and a lot of depression or those ruminating types of thoughts, the immune system reactivity often couples together. So each time we experience a negative event in our lives, we then automatically trigger an inflammatory response based on our genetic vulnerability, but also based on what our system has been trained to do. We notice that when some people get stressed, it goes straight to their stomach and they get bloating. They get pain. They get IBS symptoms, etc. I have other people who come to see me and when they experience anxiety and depression or simply stress, it goes straight to their head and they experience migraines and headaches. Each of us has, I suppose, an area of the body where that inflammatory response and that tension becomes coupled together with, and therefore causes, these kind of functional conditions which are very difficult for traditional medical profession to treat. DrMR: Now, coming back to the theme of brain imbalances, are there certain symptoms that you notice are more or less indicative of a brain imbalance being present? I’m assuming it’s very broad and can manifest as a wide array of symptoms, but is there anything that people may want to be extra cautious to look out for? AG: Yes. I talk about this idea of the stress signature. Each person has a stress signature, their unique collection of symptoms that occur when they feel stressed. Now, something that’s very common amongst them is what I call a busy mind. When the body goes into this altered state, we noticed that people find it difficult to relax. They find it difficult to just flow with the moment and enjoy activities, because why would the brain allow you to relax when there’s a threat? There’s something wrong in the body. There’s something that we need to deal with. So that tends to be one signature symptom, as it were, that a lot of people experience: the inability to deeply relax and feel calm. Then obviously, any anxious thoughts, any depressive thoughts. From then on, as I said, each person’s collection of symptoms—the syndrome as it were—will be different depending on their vulnerabilities, or where that stress tends to target itself. DrMR: Yeah, that makes a lot of sense, in terms of someone being wound up and unable to relax and unable to go with the flow. And I also assume that would have negative ramifications, of course, for their personal relationships. I can just speak from my own personal reflections. People who can’t go with the flow are kind of exhausting to be around, so I’m sure that doesn’t really facilitate these tribal associations are also so important for healing. AG: Yes, absolutely. Healing from the tribe, healing through our relationships is incredibly important. And we know that when people are in these chronic stress states, this can use up all their dopamine levels and it can also lower their oxytocin. Oxytocin being the cuddle hormone. People find that when they’re in these defensive states, they find it harder to feel loving connections with their partners, their families, other people. Once again, when you’re in this threat state, the body doesn’t need you to digest food or make love or do all the other normal things that human beings do. Instead what it wants is for you to do is focus on the threat and heal it. And because we live in a pro-inflammatory world as I call it, it can actually be just a trauma of illness or one of stomach infection that can trigger this altered state. Or it can just be, once again, that bucket that I described. That there’s this bucket that we’re experiencing, with all the stress going in, environmental stress, personal stress, which overflows. Therefore, whatever the cause of it, it lowers the feel-good chemicals in the brain. DrMR: Something I see in the clinic is a small but clear subset subset of patients who can’t stop thinking about their health. I’m inclined to think that there’s a degree of this stress signature occurring, where some patients just have a very hard time not thinking about their health, relinquishing control over to the provider that they’re working with. And rightfully so, I understand when you’re not feeling well, you want to do everything you can. But would you say that that may indicate someone who is at higher risk for a brain pattern that is unfavorable and they need to do some of these brain repatterning work? AG: There’s two levels to this that we see in our clinic. When we’re dealing with chronic illness—so chronic fatigue syndrome, fibromyalgia, chemical sensitivities—we do believe that two brain structures go into a hyperreactive state and then focus the entire brain’s resources on incoming data from the body. And those two brain structures would be the amygdala and the insula. My specialist area is studying the insula part of the brain. The insula part of the brain takes in all incoming data from the body, processes it and then decides what is the appropriate response to ensure survival. I believe that in these conditions—and there is some brain evidence for this or scan evidence for this—the insula and the amygdala now focus all the brain’s resources on processing the body. Now, it becomes difficult for the person to actually direct their attention away from their body, naturally so. The brain is saying, there is something wrong with the body. You have these symptoms in the body. You have these symptoms, whether it be irritable bowel or you have chronic fatigue or whatever it may be. Do something about it. We need to heal, because these symptoms are indicative that something is still wrong with the body, like we had at the beginning of the condition. So the brain rivets the mind’s attention on those symptoms, which then creates a vicious cycle. The more that the brain is riveted on trying to deal with this, the more it sends out inflammation, stimulates the nervous system and the immune system unnecessarily, which creates the symptoms, which feed back to the brain. And this hypersensitive brain magnifies those signals, including magnifying pain signals, then releases a whole host of chemical messages in the body. So nervous system and immune system again, triggering symptoms and round and round we go until we have now caused a chronic illness. So I do believe that the core of many chronic illnesses is conditioning events in the insula and the amygdala part of the brain. Interestingly, that’s been shown in animal studies. They found that when they give rats sweet water and an immune inhibitor, obviously, the rat’s immune system reduces. When they do that over several cycles, when they just give those rats sweet water without the immune suppressant, guess what? The rat’s immune system still reduces its function. When they then dissect the brain over many cycles, they find that the insula and the amygdala is where the conditioning lies or the conditioning events are stored. 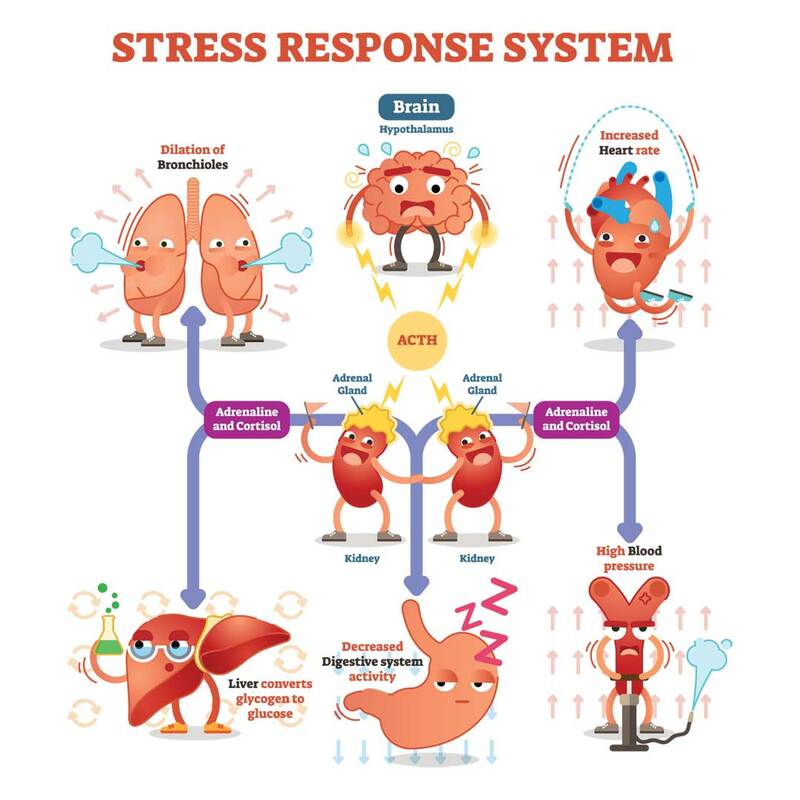 The hypothesis is that many of these different conditions that we see, where people seem to have a chronic over-response in the body, may well be the conditioning event is stored in these two brain structures. Therefore, it creates a cascade of a chronic illness moving forward. So it’s a very exciting area of research at the moment. But for some of these hypersensitized patients that they get locked in this downward spiral, because even what will be considered as a somewhat normal “bad day” when you’re not feeling optimal is perceived as this huge problem. And then that in and of itself starts this whole downward spiral. Is that what you think is happening in some people? AG: Okay. So when we’re talking about chronic illness like ME chronic fatigue syndrome, IBS, I believe that that process is going on totally unconsciously. It’s a bit like a post-traumatic stress disorder. But instead of a stress disorder, it’s a post-traumatic physiological disorder. The brain has made a decision that we are in danger and we must respond, and must focus our efforts on defense. That is where it’s not happening with any conscious knowledge of the patient. There’s a second group of people, who I call the worried well. And I believe this is actually something that you covered in your recent podcast, which I found really fascinating, with Chris Sandel. In that, you talked about how, for some people (the worried well), there is an obsession with their diet, what they’re eating, and how much stress that causes. That’s where it becomes dangerous, because that can become a downward spiral of becoming obsessed with diet and all these individual things, thinking that they are the cause of your symptoms. Whereas in fact, it’s just an overall overstimulation of your system that requires a holistic approach. So it requires what I call the MEND protocol. M stands for meditation and mind, E stands for exercise, N stands for nighttime routine or better sleep and D stands for diet. Diet is just one component of these four components that can then enable us to get into our optimal health. Yes, to answer your question. We can go down a downward spiral if we become too obsessed with this idea that that particular food or that particular lack of supplement is what’s causing my symptoms. DrMR: Yeah, very, very interesting. Hey, everyone. I’d like to thank one my favorite probiotic companies for making this podcast possible, Klaire Labs. Again, Klaire is one of my favorite probiotic companies, which I have used personally and in the clinic. They offer a quality formula in each of the three categories of probiotics, most namely their Ther-Biotic Complete, their Saccharomyces boulardii, and their BioSpora. They even offer specific blends, for example, a post antibiotic formula, a woman’s probiotic, and even an infant-focused formula. You’ve likely heard me discuss recent findings showing that probiotics can improve mood. One study, a high-quality randomized control trial, was using a Klaire Labs formula, Target gb-X, as in gut brain access. Klaire is offering healthcare professionals and consumers a free Target gb-X probiotic starter kit. If you send an email to gbx@klaire.com, with the subject line “Ruscio Starter Kit” and provide them a mailing address, they will send you one of these for free in the mail. Klaire Labs, I highly recommend their probiotic line. I want to expand upon some of the therapeutic options here in a moment. But first, do you see any testing being viable? There are some who are trained in chiropractic neurology or functional neurology also, where they’ll look at eye saccades and imbalances, other musculoskeletal imbalances, neurological imbalances that may indicate things like a cortical hemisphericity, simple testing rather than brain scanning, which I’m assuming is a little bit harder to do. But what does the world of testing have to offer us here? DrMR: Could you define that, just for people who haven’t heard that term before? AG: Sure. In the US, it was originally called chronic fatigue syndrome or CFS. Eventually it moved to this idea of ME/CFS. So ME stands for myalgic encephalomyelitis, which is a bit of a mouthful. But once again, it was these terms that were trying to define this particular illness, and it’s very difficult to define, so they ended up calling it ME/CFS. So it’s a whole host of symptoms. Extreme exhaustion, the inability to exercise, inflammatory effects all over the mind and the brain and the body, sore throats, immune reactivity, high cytokine levels. They’ve spent 20 years trying to look for the smoking gun in terms of a diagnostic tool, or whatever it may be, to figure out who’s got it and they haven’t succeeded. I think with a lot of these conditions, the reason it’s going to be tricky is because of this idea of a stress signature. The commonality between all of these different conditions is the conditioning in the immune system, the nervous system, which I believe may be stored in the insula or in the amygdala. But in terms of the expression of that conditioning, it’s unique to each person. So you’re going to have subgroups and subtypes. But to say there’s going to be one marker, I haven’t come across any research that has shown that as yet. DrMR: Gotcha. Now with treatments, you alluded to two things, the brain retraining and also the MEND protocol. As we start talking about treatments, I’m assuming that a large subset of people, if they start with the basics of meditation, time in nature, enjoyment, sleep, stress reduction, exercise, along with improving their diet (a lot of what you’re saying in the MEND protocol), that’s going to get them where they need to be. But I just want to make sure that’s a correct assessment, that for the majority of people, or at least a large subset, the basics there are going to get them to a healthier brain position. AG: Yes. And as I said, I’m not discounting the idea that someone may choose to go to a nutritionist or a dietitian initially. I’m not saying that that couldn’t help as well. I’m saying there’s a holistic approach. But the way I look at this is, it’s someone seeing people drowning in a river and then jumping into the river and saving them. And suddenly, they see another person. They jump into the river, and they save him. I think, thank God for that. But actually, no one is asking the question, who’s throwing them in the river in the first place? Where is all of this starting? Why is the body going into imbalance in the first place? So the way that we approach someone who comes to our clinic is to make that overall assessment. And yes, generally, when people engage in the MEND protocol—or the Gupta Programme which is the one for more severe illness—what we generally find is that they may well have had many of these physiological markers. But once they get the sympathetic and parasympathetic nervous system in balance, once they’re able to entertain the body with a more parasympathetic tone for a sustained period of time, then the body heals itself, because that’s what it’s designed to do. Many medicines and even nutritional supplements ultimately are aiding the body in its own healing power. When it’s in that right state (when it isn’t in that imbalance state), it has a much better opportunity to be able to fight off opportunistic viruses and infections, rebalance the nervous system and rebalance the immune system, bringing us back to a state of homeostasis. And we find that if people want a quick win—from the studies that I’ve seen—meditation for at least 20 minutes a day, or engaging the relaxation response, is probably your biggest bang for your buck. There’ve been some studies in the last few years showing that for people who engaged in relaxation response for 20 minutes a day, it had a direct effect on the inflammatory biomarkers for IBD and IBS. There were also positive effects on the gut biome. So the microbiome balance is massively improved with meditation. Physical exercise also directly alters the microbiome. We can see that by getting the mind in its balanced state, the mind then stops over-stimulating the sympathetic nervous system, which is causing all the domino effects in the rest of the body and that imbalance. Certainly, the studies that I’ve read—and obviously, there are many more studies that are required—seemed to show that regular meditation can do that. A recent Harvard study which, for me, should have been front page news (and this shows us the bias in the media) in 2015 on 5,000 people studied how many times they visited a doctor or a hospital for a year. Then they taught them the relaxation response, which is essentially meditation, and then followed them for a year afterwards. And they found 43% reduction in the usage of medical facilities, just as a result of taking up a program of meditation. It’s just incredible. I can send you the study. And it should have made front page news, because if there was a pill that said, “We’re going to halve the usage of medical facilities,” it would be the miracle drug of the 21st century. And yet, here was a definitive study which showed that that’s what regular meditation can do. DrMR: That’s fantastic. Now, is the 20 minutes because the recommendations that were used in some of the research was to meditate for 20 minutes? Or was there a breaking out, looking at people who meditated for 5 versus 10 versus 20 versus 30 minutes, to be able to say that 20 minutes was the minimal threshold needed to be achieved? AG: 20 minutes seems to be the magic number. For myself, I’ve studied western forms of meditation and mindfulness. I’ve also been to India and been on many meditation courses and spoke to many gurus out there. Generally, 20 minutes seems to be sweet spot. Of course, if we’ve got a very busy and anxious mind, it may take slightly longer for the mind to settle. But generally for most people who are beginning meditation, it takes around 5, 10 minutes, 15 minutes for the mind to begin to settle, and then that’s when that healing system kicks in. 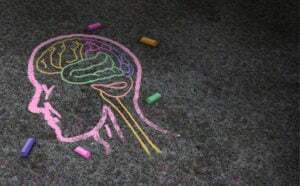 It trains the amygdala and the other parts of the brain to reduce its reactivity, realize that we aren’t under threat. And when that general threat perception is decreased in the brain, it has some domino effect on reducing the perception of threat in the rest of the body. That’s what I’m saying, the nervous system and the immune system seem to cross over and fire together. So 20 minutes is very good. And if that can be preceded by some deep breathing—it’s often called pranic breathing or whatever—there’s a study showing that alternate nostril breathing or just slow deep breathing has a direct effect on the vagus nerve. Then that gives us a nice karma mind to enter meditation. As a general health tonic for everybody, I advise a few minutes of deep breathing, followed by 20-minute meditation. And as I’d mentioned earlier to you personally, I have a not-for-profit app called The Meaning of Life Experiment, which I developed to really bring meditation to the world. It’s available on Play Store and App Store. In that, there are 30 guided meditations of 10 minutes and 20 minutes. So there’s a whole host of different ways of meditating different styles that people can enjoy. And it’s a 30-day meditation program. Most people find that when they engage in it for just 21 days, or even 10 days, they start seeing effects. It can take a little while, maybe 10, 15 days, then they never want to be without it. It’s like a shower for the mind. You’d never not shower in the morning. In the same way, people find once they meditate, they want to continue for the rest of their lives. DrMR: Great. I’ve been doing 10 to 15 minutes per day, on most days, of meditation. I’m going to up that to 20 now in light of these findings. AG: I’d definitely advise that. I now do about 20 minutes. So, 15 minutes of breathing in the morning from a course that I went on called The Art of Living Foundation. They have a rapid breathing course. I start my day with that breathing, followed by probably about 30 minutes of meditation. When I’ve done that process in the morning, say, 40 minutes or so, I know that the rest of my day will be focused. I’m not reactive to people in situations in my day. I know that my body is balanced. I don’t have these generalized symptoms that people experience such as fatigue and tiredness, sore eyes, stomach problems. I won’t have any of that. And I noticed that if I leave it for a few days—let’s say, I’m away somewhere with friends and I haven’t meditated for three or four days—I begin to notice some of those symptoms creep back, because I haven’t balanced my system. So then when we get into a busy day, a stressful day, the system is very prone and sensitive to getting off-balanced again. Yeah, I see it as my go-to thing every day to keep that focus and balance. DrMR: You know what? It does make sense. I’m assuming for the vast majority of people, they are not living a life that’s conducive to relaxation. Even myself, having a lot of control over my days, it’s still go-go-go-go-go from this to that to the next thing, always on, always focused. Now, I am admittedly a type A. But even for non-type A’s, I’m assuming with work and family engagements and then the phone always being there, giving you some overstimulation, I think it’s fairly safe to conclude that we’re all living in an overly-stimulated environment, making this countervailing force that much more important. AG: Yes. We are seeing a lot more people coming to our clinic with these chronic illnesses. We’re seeing a lot more people having these kinds of collection of syndromes or symptoms. Many years ago, I went to India and I visited some distant relatives who were pretty poor, and they lived in a village. And I looked at their lifestyle. It was so interesting because they never complained of any of these types of symptoms that we complain of in the west. Their day involved eating all-natural freshly cooked food, Ayurvedic food. They would be working in the fields during the day, so lots of exposure to sunlight, activity, and physical exercise. They would then pray in the evening, so they got a form of meditation. And they always were full of energy. They were always very happy. They never complained about anything. I lived with them for six weeks. I just thought it was so interesting, and here we are, we’ve got great lives, we’ve got exposure to so many sources of entertainment. Yet we find it hard to relax, we often get irritated and agitated. And it’s because the way that we’re living isn’t conducive to our bodies staying in that homeostasis. We tend to go off into a pro-inflammatory state because of the threat perception around us. Unfortunately, social media and screens have magnified this effect. Now on social media, we have this unconscious way of comparing ourselves to other people or getting stressed by the amount of incoming information that we’re absorbing, never switching off. I am noticing that it’s now becoming epidemic in terms of fatigue, a lack of good night’s sleep that we’re all experiencing, because we are addicted to screens. We’re addicted to our phones. And it’s not so bad that someone needs to do something about it, but it’s bad enough that it is affecting people’s health at a general level. Therefore, whatever we can do to switch off from screens and meditate or walk in nature, or really connect with people, that is what our soul yearns to do. DrMR: Agreed. There does seem to be this inertia, where the more sped up someone gets, the more prone they are to go on their phone and just ferret around from Instagram to Facebook to YouTube to their newsfeed to their email, and just get stuck in this monkey mind. There does seem to be this self-propagating pull. The more sped up you are, the more you want to do that. And that’s really the time that you need to do that the least. AG: Yeah, absolutely. You can see the very busy-minded people on their phones, and they’ve got five windows open or on their laptop and they’re motoring through everything, not taking a moment to relax. The issue with all of this is that we’re actually repressing our emotions. Before screens came along, if we had a bit of fear or anger, and we were waiting in a room, or we were traveling, we would have time to process emotions. Whereas now, what a lot of us are doing is avoiding the need to experience emotions or process emotions, and instead using distraction on our phones to take us away from uncomfortable feelings. What then happens is, and this is where we make it pseudoscientific, but bear with me here… I do believe that those repressed emotions, that haven’t been processed, then go on to manifesting symptoms in the body. We know anxiety and depression can directly affect the gut biome and the gut itself, and the muscles around the head. When we’re not processing these emotions, they’re getting stored up and then going on to cause more of these inflammatory conditions. And that’s something that I don’t have evidence of, but that’s just my gut feel! DrMR: Sure. Let’s start going into the protocol. You mentioned the MEND acronym before and I’m very curious to get specifics on the brain retraining. AG: Okay. So when someone comes in with an actual diagnosable chronic condition such as ME/CFS, fibromyalgia, chemical sensitivities, IBS and the like, burnout, then we advocate the Gupta Programme which is different to the MEND protocol. The core of the Gupta Programme are the three R’s. Retraining the brain, out of this chronic response that it got stuck in unconsciously. Relaxing the nervous system. That involves deep and long meditations twice a day, as well as a relaxation diet or an anti-inflammatory diet, mindfulness, getting our sleep rhythms correct, the holistic approach around the brain retraining. And the third R is re-engaging with joy. We talk a lot about directing our brain’s resources to something that brings joy. So that’s the three R’s of the Gupta Programme. But the core of the Gupta Programme is this very unique brain retraining, training the amygdala and training the insula out of this hypervigilance on the body and those symptoms, and training the brain that we are no longer in the situation that we were at the beginning of the condition. Then the brain goes into overdrive and keeps over-stimulating the nervous system and immune system, even once the threat has passed from that particular virus or infection. But the brain gets then stuck in a loop. The brain retraining is all about fixing that particular loop and that’s the very unique process that we spent 15 years designing. DrMR: Hang on. Let’s go back to the brain retraining, as I’m sure people are curious about, at least some more particulars in terms of what that looks like and how you do that. Those signals are constantly bombarded in the brain. Normally, when the brain receives those signals, it perceives that the body is in danger from whatever, a virus or bacteria. Then it starts over-stimulating the nervous system and immune system. We train people to recognize what those danger signals are, and then oppose and send a contradictory response to the unconscious brain. It’s a signal from the prefrontal cortex to the amygdala. When they’ve done brain studies on rats, they’ve actually proven that a safety neuron is created from the prefrontal cortex. So the rational thinking mind, down to the amygdala and down to the insula to stop these hyper-defense reactions. What is a very unconscious reaction now becomes more conscious. In the seven-step process, it’s interrupting that particular defense response. Then there’s breathing, self-coaching, visualization. There’s a whole set of different techniques, something called timeline therapy, all put together into one process, which then trains it again and again and again. Until the brain gets the message that we are not in the same dangerous situation we were at the beginning of the condition. AG: It’s a very specific process. DrMR: Sure. And then you were going into the MEND protocol. AG: Yeah. So the MEND protocol is for people who perhaps don’t have a chronic condition like that. But they’ve got these symptoms which are affecting their day-to-day routine. The ones that doctors see: mild pain, moderate pain, fatigue, IBS, those ones which impact on someone’s life and they just don’t know what’s going on. They just want to get energy back into the system, and feel better. So M stands for mindfulness and meditation. This is like recharging our iPhone or our Android phone every day. Every day, we plug in our phone to recharge it and yet we don’t plug ourselves in. This regular 20-minute meditation, as I said, we know reduces the reactivity of the brain which makes our brains more efficient, and it makes our bodies more efficient, so it saves energy. Certainly I find when I meditate, it gives me bags of energy. It gives me unlimited energy. So that’s what the M stands for, and of course, mindfulness. The core of mindfulness is about breathing in the moment, about keeping our minds present. Something which a lot of my clients find really useful—because mindfulness can sometimes be a bit vague in terms of how it’s taught, and it can take a while—I call the slow motion technique, which is when you choose during the day to do everything 20% to 30% slower. You naturally become more mindful because you’re more mindful of how you’re moving, how you’re breathing. You’re not rushing around. The slow motion technique helps naturally incorporate mindfulness into our day. Second is the exercise. For people with chronic illness, they sometimes don’t have the energy to exercise. But we know that exercise can directly impact on the microbiome. We make sure that we get 20 to 30 minutes of some moderate to brisk exercise or vigorous exercise, four times a week, and also get in nature as much as possible. So green nature, getting light exposure in the morning and generally, having more of an outdoor lifestyle. But definitely the 20 to 30 minutes of vigorous exercise three to four times a week. It doesn’t have to necessarily be vigorous. A brisk walk can also give you the positive cardiovascular effects, get the circulation going, etc. N is for nighttime routine, which basically means sleep. But the acronym then would been MESD… and wouldn’t have been as catchy as MEND. A bit of manipulation there. So most us are ignoring our sleep. Most of us are quite arrogant about our sleep actually, and we’re in fact complacent about it. But sleep is incredibly important. When they do sleep studies and they put people in the sleep labs without clocks, they find that people naturally start sleeping at least eight to eight and a half hours a night (and they remove all the other things that make us think we have to get up and go to bed at certain times). So getting our sleep rhythm is incredibly important. Caffeine and alcohol are two enemies of sleep. So those are two things that we really want to rapidly moderate in our lives, especially caffeine in the afternoon. Any caffeine in the afternoon onwards will impact on our sleep. Once again, the biggest impact is our blue light devices. When we’re looking at an iPhone, an Android device, or tablet at night with that blue light, we know it’s directly impacting on our ability to sleep at night. We really want to have blue filters on our devices. You can find more about that on the internet. And if people do find it hard to get sleep, we have a meditation called the get-back-to-sleep meditation. Really, even the most extreme insomniac has managed to use that meditation to generally drift them off to sleep. We do a nighttime routine of seven and a half to eight hours of sleep, doing whatever we can to deepen our sleep. Actually, the recent findings is that when we expose ourselves to daylight in the morning—so that first 15 to 20 minutes when we wake up, if we can sit by a window, go for a walk, or be outside—that has the biggest impact on our circadian rhythms, and gets our cortisol levels and our melatonin levels reset. So morning exposure is incredibly important for our overall health. Finally, D is for diet. Now, I don’t need to talk about that, because that’s obviously one of the focuses of your podcast. But it’s what we call the anti-inflammatory diet, where we’re focusing more on a more plant-based diet and some of the natural anti-inflammatories. The Indian diet naturally contains many of these heavily potent anti-inflammatories such as turmeric, ginger, black pepper and all the things that increase the absorption of turmeric, as part of the natural course of things. And those kinds of supplements we certainly encourage people to have. And when we put people on this MEND protocol, people don’t necessarily do all of it. But generally, if they just do, let’s say, 50%, they will find a big increase in their levels of performance at work, their levels of energy, and their overall health. And there are a lot of quick wins that can be gained. With the 20 minutes of meditation, in the morning, ideally before breakfast or before dinner, and getting our sleep right, a bit of activity where we’re walking more than we normally would be used to, out in nature, and we noticed that people’s energy rapidly comes back. DrMR: Can you tell us briefly about the research? I know you’ve published a few papers but where, from a 3,000-foot overview, do you feel the body of research is here? If there’s research on this method that you’re using specifically, that’s been published, that would be great. Or if there are a few inferences that have been congealed together to support your approach. Just wondering what evidence there is supporting this. AG: Sure. We’ve done a couple of small scale studies ourselves. We did a clinical audit of our clients, which was published, which showed that when we were treating people for ME/CFS and fibromyalgia, two-thirds of our patients reach an 80% to 100% recovery within one year. So that’s the published study which you can find on our website. Then we did a small study with the Mayo Clinic, which also showed that compared to the standard protocol, people with fibromyalgia seem to make better improvements and have more energy than the control. And what we’re looking to do right now is to raise funds, $100,000, to conduct more studies on this because I think some larger scale studies are required. In terms of the MEND protocol, there are plenty of studies individually on these things, but we obviously haven’t done a study on putting all four of these things together. But certainly with meditation, I’ve mentioned quite a few studies. Exercise, we know there’s plenty of evidence based for that, sleep as well and obviously, diet. So I think that, for me, what I would love people to do—whichever area of medicine they work in or the area of conventional alternative medicine—is to show people that the power of the intervention is far more intense when we include the other aspects of this, all four of the MEND protocols. And some of these interventions are very simple. They’re nothing particularly controversial, but it’s just about encouraging people to make this a habit in their lives. So on the evidence base for meditation, exercise and nighttime routine… I think there’s plenty of evidence that supports the energy increases. DrMR: Yeah. This has been a great conversation. I really appreciate it. Would have any closing thoughts for people? And then, please tell the audience about the program or a website, wherever you’d like to point them to learn more about your work. What I’d love to leave people with is, in my experience, most conditions that we experience can be healed or moderated when we start living in a balanced way. So whatever you’re experiencing, I’d love people to embrace this idea that health is our birthright. We can get our health back when we really start investing time in some of these processes. If people would like to find out more, if they’re suffering from a chronic illness, then we have a Gupta Programme which is GuptaProgram.com. There, you can sign up for free videos, lots of testimonials, and lots of other videos and audio about what we do. And if you choose to take our protocol, it comes with a one-year money-back guarantee. Until we get a large-scale independent trial, you can use it for up to a year. If you don’t have any benefit, in a rare case, then we give people that money back. You’ve got nothing to lose by giving that a shot. If people want to know more about the MEND protocol, we’ll be launching a new program on that. But for the moment, they can download our app, the not-for-profit app which is called The Meaning of Life Experiment. And you can find out all the links and all more information at TheMeaningofLife.tv. That particular app not only has loads of meditation and audio exercises that can help people, but also a 30-day program of overall well-being and self-development. Within that is the MEND protocol. But it’s also a whole journey of self-discovery. We call it 30 Days to Discover More Happiness, Meaning, and Purpose. We go deeper into the science of happiness. We go deeper into how we develop more meaning in our lives and how we discover our life purpose, the gift that we’re here to give on this planet. Those are two-week courses that people can use right now. DrMR: Well, fantastic. Thank you. I think this is going to help a lot of people. Certainly, I can say, as a clinician who can do a good job working with certain things under the hood, so to speak, that works well for many patients. But then there are some that I feel they just need a bit more. And I hint at some of the things that you’ve outlined today, but having a really robust program, especially with the brain retraining in some of these more select cases, I have a feeling will be very helpful for some people. I would encourage anyone in the audience who feel like you can’t shut off, you can’t stop thinking about your health, and like you’re stuck on this cycle of not being able to heal, to give this a look. Because I do think for some people, we can do so much with the body but until we get the mind right, we’re somewhat limited. We’re going to need both of these systems to be really optimized before we can have the true profound health that we’re all looking to have. AG: Yes. I absolutely agree. DrMR: Thank you again. I really appreciate it. AG: Thank you, Dr. Ruscio. It’s been wonderful, and yeah, I look forward to seeing you again soon. I’ve read your book, and I’m taking Betaine HCL (2 x 650 mg per meal). Are both supplements compatible with each other? I’m not aware of any contraindications between the two. Sounds a lot like Dr. Sarno’s philosophy of the Mindbody connection. Hi there, I’m reading Dr. Ruscio’s book and I’m just about to order a bunch of supplements to get started. The only supplement I’m worried about taking is Biota-Clear 2b. I’ve had severe reactions to garlic in supplements before. My throat swells up. It’s pretty scary. But I recognize that that supplement is probably intended to hit the fungal overgrowth pretty hard and I think I struggle with fungal overgrowth. Can you recommend an alternate supplement I can take in place of the Biota-Clear 2b? Thanks! Check out the “Gut Geeks” box on page 278 of the book where he discusses alternatives. Also, feel free to leave any other questions relating to the book or protocol on the FAQ webpages – the address is listed on the last page of the book. Hope this helps! I have just started the DNRS program by Annie Hopper, which I have heard is similar to Gupta’s program but it focuses a lot on chemical sensitivities which is not my main issue. I would love to know what are the main differences to Gupta? My issues are food sensitivities and autoimmune so I’m wondering if his program might be a better fit? Dr R actually recorded an interview with her about the DNRS program which will air at the end of this month – stay tuned! I found this very interesting and insightful. I was hoping he would mention Rumination Syndrome, which is what my son developed after a horrible bought of eosinophilic gastritis from an allergic reaction to Bactrim. Even after my son healed from the gastritis, he was throwing up 40 or more times a day for months. Finally, I found out about Rumination Syndrome and we started Cognitive Behavioral Therapy and it’s made a tremendous difference! Any stress (tests, cold virus, etc) can affect his stomach now but CBT and breathing exercise have calmed it down and given him a feeling of control back. I’m happy for the reaffirmation that we are on the right path. I think the Gupta Program would be helpful for this condition as well! Thanks for sharing your experience, Kristen, and I’m so glad to hear your son is feeling better.